Candidates are missing out on opportunities because they are not showcasing how their skills and experience are relevant to the job being advertised, says recruiting expert Hays. While the April to June 2013 Hays Quarterly Report shows there is candidate demand for a large number of roles across a range of sectors, employers are being very specific about what they want right now. A rushed resumé or one that fails to use the correct terms used in a job advertisement to describe the candidate’s previous roles, their qualifications and proven work experience could have serious consequences. Hiring managers may pass over a candidate’s application if it was not focused enough. With so many applications responding to the advertised job market, it is likely that only those resumés that detail a track record of the experience being sought as well as the right qualifications, will make the short list. While there is demand for candidates in a wide range of sectors right now and even skills shortages in a number of areas, competition for good roles always remains strong, and the preference from employers is for candidates who can clearly demonstrate that they meet the criteria outlined in job advertisements and position descriptions. Go through the job advertisement and underline the keywords used to describe the skills, training and experience being sought. Search through your own career history for specific examples of how you can demonstrate that you have what the employer is looking for. Phone up the contact listed in the job advertisement to ask if there is a position description and if so, request it to be e-mailed to you. The more information you have, the better you are able to target your application. When tailoring your resumé and cover letter to a specific job on offer, ensure you mimic the words and phrases used in the advertisement and position description when compiling your list of key skills as well as your career history. This will help you stand out from the pack — provided you can back up your claims. 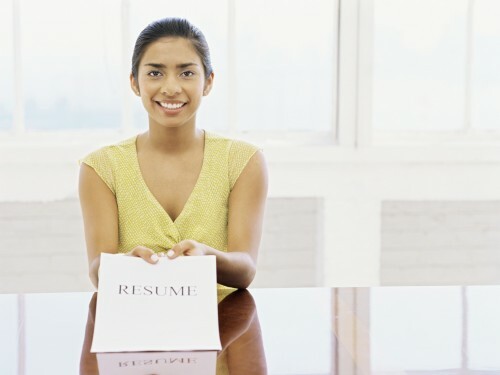 Don’t rely on just the cover letter to relate your skills to the role — it is quite possible that your resumé will get separated, and so having the skills outlined in your work history ensures that your relevance to the role is clear. Highlight the training and education you have completed or are currently undertaking to demonstrate your commitment to continuous development. Make sure you include a few achievements for your last two roles to demonstrate how you added value to your organisation. Achievements that feed directly into a company’s key aims are particularly strong. No matter what your role is, being able to demonstrate that you understand the importance of having a customer focus — even when you deal only with internal customers — as well as supporting revenue generation or cost-saving efforts in an organisation will help you stand out in this market. SEE ALSO: Will You Be The Chosen One?